I spent a few days last week exploring the history and beauty of Cambodias famous Angkor Wat and the surrounding temples. For me though Angkor Wat isn’t the highlight, sure it’s the most photographed (and I really enjoyed watching both the sunset and sunrise in front of the main entrance), for me the temple on Bayon in the Angkor Thom temple complex was my favourite. The temple itself is most renowned for its huge stone face carvings – 216 in total – which form part of the huge building built in the 12th century. 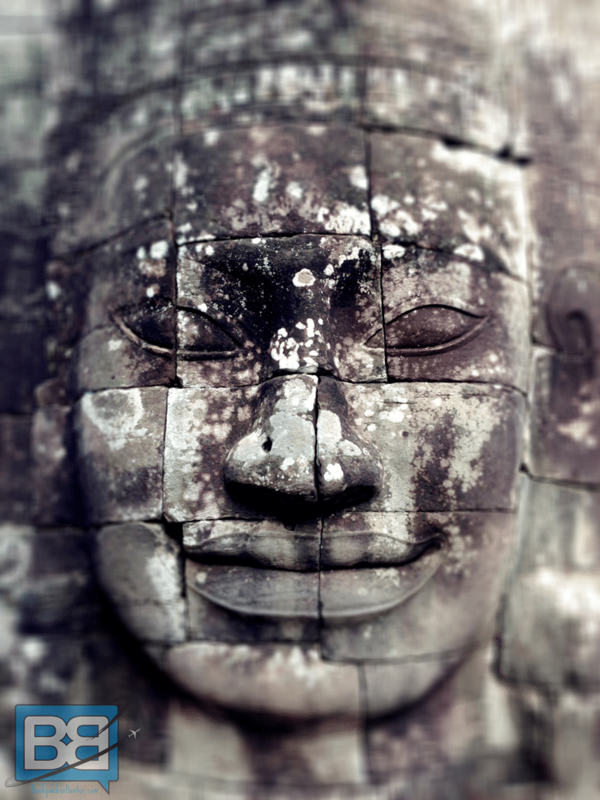 The mixture of always being “watched” and the decaying, weathered stone gives it an eerie but magical feeling – it’s definitely one to check out if you decide to visit Siem Reap. Great shot, Chris! I’m really looking forward to Cambodia! you’ll love it here Jayme – so many great photo opps!